Everyone knows how to get to Carnegie Hall: practice, practice, practice. But it doesn’t hurt to have a teacher like Joel Freedman. The Hastings-on-Hudson, New York native — and, since 1992 a Westport resident — started playing the cello when he was 10. That’s 65 years ago. He studied with a student of Pablo Casals. He played in classical orchestras, and with jazz groups. He performed at — yes — Carnegie Hall. Freedman went to New York University for filmmaking (where Martin Scorsese edited his first movie). But he also earned a scholarship to study music. He’s still doing both. He’s a performing and recording artist. His film credits include work with Natalie Wood and Ned Beatty. Robert Redford narrated 2 of his movies about Native Americans; Joanne Woodward narrated one about indigenous Arctic culture. 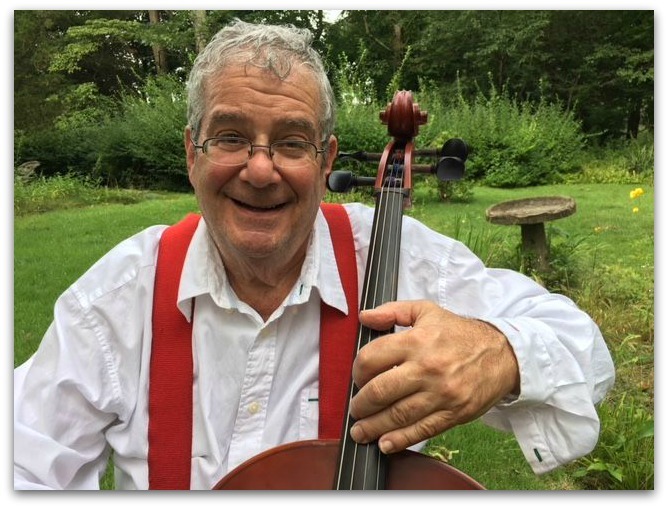 Freedman first came to Westport in 1947, when his parents visited friends in “this beautiful little town.” When he moved here from New York 26 years ago, with his wife and daughter, he already had a storied career teaching — among others — Juilliard musicians. In Westport, he expanded his student base. He’s worked with those as young as 11, and teenagers in local schools and orchestras (including Norwalk, Bridgeport and Stamford youth symphonies). Not long ago, one of his youngest students “fearlessly” entertained listeners at the Senior Center. But he’s also taught an IBM executive, master plumber, hedge fund attorney and other full-grown, busy-with-other-lives adults. Joel Freedman teaches students of all ages. His style appeals, for example, to that IBM man, who decided in middle age that he wanted to play. He’s studied with Freedman for 13 years. He takes his cello on business trips — and in speeches, describes how music helps him focus. When the hedge fund attorney arrives at Freedman’s Westport studio for lessons, “he forgets about work and meetings. He can relax,” Freedman says. Freedman says his oldest pupil is 75 years old. 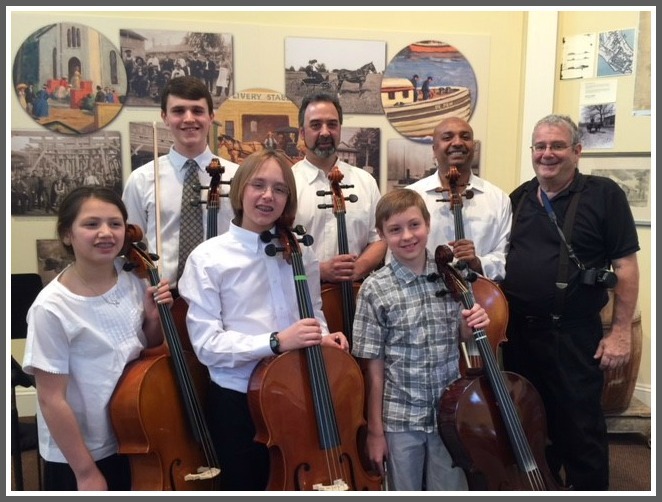 This entry was posted in Arts, Children, Entertainment, People and tagged cello, Joel Freedman. Bookmark the permalink. A nice story! I’m wondering if Joel Freedman knew Buell Neidlinger. Loved this post. This is why I continue to have 06880 come to my inbox, even though I live in Stratford. Always interested in doings in your beautiful little town.